What makes a document “Islamic”? Sh. Ali Sulaiman Ali was born in Ghana where he spent his childhood studying with various Muslim scholars. He then moved to Saudi Arabia where he enrolled in Islamic University of Madina. He graduated with a degree in both Arabic and Islamic Studies. Dr. Ali went on to complete his Ph.D. in Islamic Studies from the University of Michigan, Ann Arbor. Sh. Ali serves as the Imam and Director of the Muslim Community of Western Suburbs, Canton, Michigan. 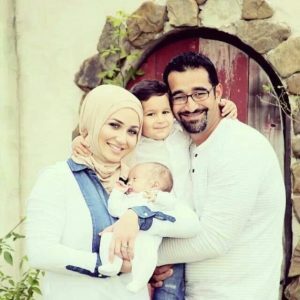 Additionally, he serves as the Director of Muslim Family Services in Detroit, and is a member of the North American Imams Federation (NAIF), the Association of Muslim Jurist of America (AMJA) and the Fiqh Council of North America (FCNA).